The chancellor announced a student loan system for postgraduate master's degrees in the Autumn Statement. Although many have praised the move, it risks doing more harm than good. There are the obvious unintended consequence of encouraging students to undertake courses that aren't in their (or taxpayers') best interest, but here I'll focus on risks to the nascent funding market for postgraduate loans. It's certainly a popular policy. 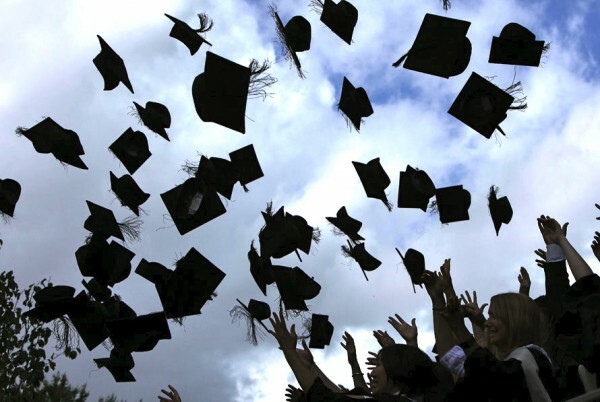 As the FT reports: "Universities, unions and business groups have reached rare agreement in welcoming new £10,000 loans intended to ‘revolutionise’ the support available for students taking postgraduate degrees." But the devil will be in the detail. Just consider the Student Loans Company, which MPs recently requested face an inquiry following the ‘persistent miscalculation’ of money paid out in loans that will not be repaid. But more important than the wasted money, the government’s intervention in the postgraduate student loan market risks crowding out private sector solutions. The failure of the Professional and Career Development Loans (PCDL), which are already subsidised by the government through the Skills Funding Agency, is principally due to banks being ill-suited to lending to students (and one the main reasons for this is because of excessive banking regulation). The analogy with SME business lending is the right one – students, like SMEs, are risky and banks are no longer best placed to lend to them. Smaller and leaner companies can fill the gap where banks fear to tread. As we have seen with Santander’s partnership with Funding Circle in SME finance, the banks know that nimble companies have the skills to plug gaps in the market. In fact, entrepreneurial companies like Future Finance, StudentFunder and Prodigy Finance are already responding to the demand for loans for postgraduate studies. Whether the bulk of the money comes from peer-to-peer (P2P) investors, alumni or universities themselves, the plurality of the private sector would trump the one-size-fits all approach that the government could take. We are on the verge of the equivalent of the funding revolution we are seeing in SME finance but this intervention risks stymieing it. All is not lost. The government will consult on how to put the policy into practice and here they have the opportunity to do less harm than copying the PCDL model. As with SME finance, the government could funnel the loans through providers already in the marketplace. And, most importantly, government needs an exit strategy so that we don’t see mission creep and the destruction of a private sector solution. Philip Salter is director of The Entrepreneurs Network.